The word extravagant rarely does Indian weddings and Diwali justice. They are fabulous, outrageous and utterly OTT. From amazing one-day showpieces, to almost week-long productions of epic proportions, the sheer drama, costume, music and sumptuous food leaves guests stunned – but in a magical way! Making sure that you book the best Indian wedding entertainment package is an art in itself. Get it right, and the big day will be remembered as a social triumph. Indian parties are rarely intimate, private occasions… And why should they be? For weddings, this means a union of two minds, a celebration of souls and the start of a beautiful partnership. Friends and neighbours, aunties, uncles, cousins, work colleagues, old school friends and mates from college – phew! The list of wedding quests will be considerable, and making sure that nobody is forgotten is always a worry. They will all enjoy different musical tastes, and probably have varying ideas about what kind of entertainment should be staged throughout the day. Now when we say Indian weddings, we should really widen that out to Sri Lanka, Pakistan and the more general Asian sub-continent. Although there are many differences, often subtle idiosyncrasies, the rule of thumb is flamboyance, colour, exotic sounds and joyous celebration. It could be a fusion of Indian-Western styles, or a flashback to historical Bollywood elegance. There are no limits when you deliver what should be the event of a lifetime for all attendees. And whether the bride chooses a classically elegant dress, a full-length lehenga or bejewelled saree, the most important lady will want everything just right. The late-morning and early afternoon should probably be serene, and what better way of soothing nerves and keeping frantic family members calm than hiring a wonderful harpist, violinist, or maybe tabla or Sitar players. Warble Entertainment supplies classically trained musicians from all over the country. 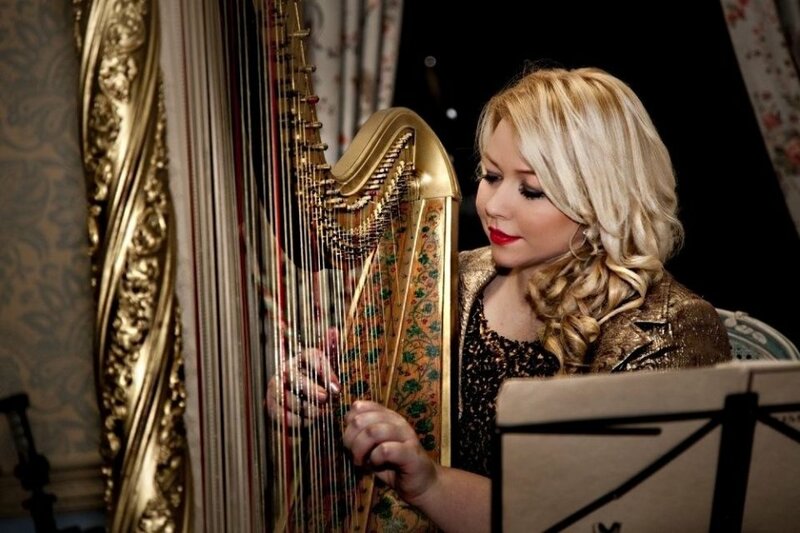 There’s Jessica the Midland Harpist who tailors outfits to suit each occasion, and plucks mesmerising chords on her 18th Century golden harp throughout the day. Or, you could funk things up a little, with the Electric Violin of Amy, should you want something stylish but different. From Bach to Bollywood, Amy mingles comfortably with guests to give a bespoke performance at any wedding party, conference or event. Having such versatile artists is a real bonus, as the background music is also important as guests sit down to enjoy the main meal. There is another reason to book some unique Indian music or Asian entertainment, and that’s if you plan to celebrate Diwali. As though you need an excuse to ramp up the colourful clothing, gift buying or find a reason to cook up some culinary delights. Diwali is the perfect excuse to get lavish, celebrate good over evil, and welcome the beginning of a sparkling new year of wealth and prosperity. Go on, buy that outlandish new suit or glittery dress; select beautiful presents for friends and family; and of course go all-out to show how much you love those around you. 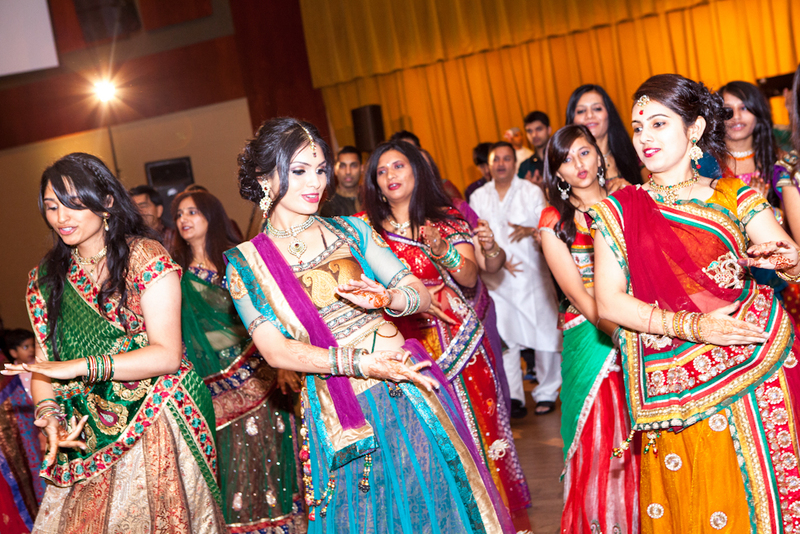 Grab any excuse for immersing yourself in the entertainment and theatre of an Indian party. Whatever the celebration, centre stage at Asian-themed events is usually the evening entertainment. Music, dancing and showing off! The formal ceremonies have gone smoothly; guests have been welcomed; and everyone is smiling and fit to burst courtesy of the outrageous spread of delicious food that hopefully tickled every taste bud. Now it’s time to party. People want to kick back and dance. Guests want the right sounds to get them out of their seats, mingling, bopping and generally letting their hair down. Bollywood Masala is an outstanding act that has enthralled audiences all over the world. 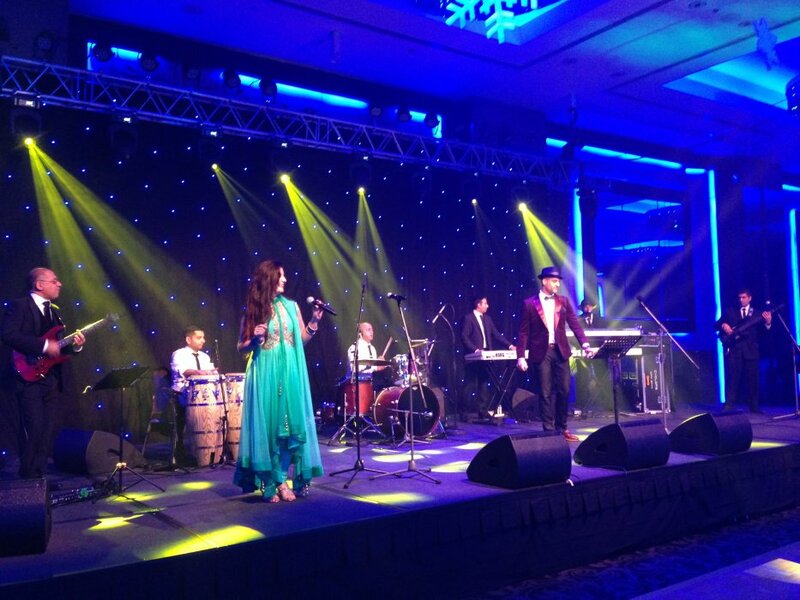 They bring a joyous and distinct sound to any celebration, with a diverse repertoire that encompasses Bollywood and Bhangra, with a few English tunes if your guests want a bit of everything. This eight-piece band manages to mix traditional and modern, giving a truly dynamic stage performance to illuminate any gathering. They are so engaging you’ll want to join in. You’ve seen the films, even some of the addictive adverts, but putting on a show is all part of the Indian wedding celebration. Choreographed dance is a real audience pleaser, the obvious step up from just watching the bride and groom enjoy that intimate first slow-shuffle. The Bollywood Dancers to turn your special day into a vivid film set; the Complete Dancers offer elements from around the world, or maybe you’ll pick something saucy like Amira the Belly Dancer. Adding something visual really does take your event up a notch. As the clock ticks towards midnight there will be some revelers wanting more. Warble Entertainment helps you to cover every element of the showcase day, and DJs that offer an Asian twist on modern sounds can be the perfect way to keep the dance floor buzzing. Bollywood DJ and Entertainers are the real deal, with a monster play list covering Bhangra, pop and of course Bollywood favourites. The global phenomenon “Jai Ho” from the Slumdog Millionaire film will lift any room, but your guests will be equally enamoured by cheesy sing-a-long classics like “YMCA” by the Village People. These guys press all the right buttons and have the experience to adapt on the spot. The partying will last into the small hours. No Bollywood or Diwali extravaganza would be complete without light and fire. Indoor or outdoor there is a firework package to suit all tastes, styles and budgets. Event Fireworks will cap any event with a pyrotechnic display guaranteed to wake up that uncle snoozing in the corner. It’s the ultimate WOW factor and sure to last forever in the memory. Oh, and don’t forget that Indian tradition about giving money as a gift to the newlyweds. Make sure it’s an odd amount, like £51, or £101 if you’re feeling flush. The extra £1 means continuity, that your friendship will carry on, and that you will meet again. Don’t read too much into it; just soak up the wonderful nature of Indian culture and everything that it brings.